I have several spots I would like to have a small N scale 2 axle switcher that can accomodate DCC. Plane Jane DCC is OK. Nothing I have seen so far looks like it can accomodate a decoder. If necessary, I can step up to a short 4 axle but I was hoping to be able to use a small 2 axle. Dave, and a couple of others, have put decoders in the "critter style" 2 axle loco. I think all of the decoder manufacturers have a "Z" scale decoder. Maybe check them out. I know Digitrax does, it's the DZ126T. Looking at the picture of it, the decoder and the wire harness would fit on a dime. Describe what you mean by a two or four axle switcher. There are some VERY small Z scale decoders out there. Friend of mine fits one in a small slope-back tender WITH the motor also in there in N scale for his scratchbuilt locos. Well, a 2 axle switcher has 4 wheels and a 4 axle has 8 wheels. If I can't get what i want in a 2 axle, I will probable bump up to something like a GE 44 ton. Backmann has a reasonable 44 ton with factory DCC. Slightly larger than I want but is an easy solution. Mike, if you are referring to me (Dave), my critters are HO scale, not N. I like the challenge of working with tiny stuff but putting a decoder into a 2 axle N scale critter would be beyond my capabilities I'm sure. Do they even make N scale 2 axle critters? That's right, ooops. When the OP mentioned 2 axle switcher, I immediately thought of you, and the "critters". Modeling C&O transition era and steel industries There's Nothing Like Big Steam! Although I started this thread asking about a 2 axle N scale switcher, I am not really aware of such an animal. The Bachmann MDT Plymouth is a 3 axle and that would work for me if I could squeeze a decoder in it. I have never touched one myself so I do not know how much space is available for a decoder. Guess I need to do some more research and perhaps get one to experiment with. Thanks for thinking of me Mike! I'm flattered! I have to ask the others just out of curiousity. 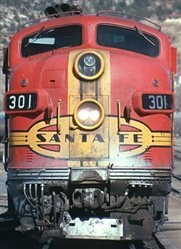 Are there any 2 axle N scale locomotives? The critter in my avatar is made from a Bachmann 4-4-0 steamer which essentially is a '2' axle locomotive if you ignore the front truck. However, it can't run on its' own because the motor is in the tender. I disguised the tender as a gondola with a load in order to hide the motor. I'm not sure that the same thing could be done in N scale. Certainly the size of the drivers would present a problem if you were trying to model an N scale diesel switcher. After some searching, I found a 2 axle switcher made by Lima. Could not find any sale listing for one so it looks like it would be an eBay item. Check it out at http://www.trovestar.com/generic/zoom.php?id=124215. Looks like mounting a decoder would bed a real challenge. Meanwhile, I found several sites that showed mounting a decoder in the MDT Plymouth. Each one required milling the frame to get the smallest Z decoder mounted. Typically milling away some of the weight in the cab. A Digitrax DZ126T would probbaly fit under the cab roof. Getting the wires run and isolating the motor would be the hard part. But I'd bet it's doable, at least for someone with better vision than me. Some years ago I put a DZ125 in a small loco. Smaller than a DZ126. You can still find the DZ125. Same specs I believe. There may be a smaller decoder but I have not looked for one. After some searching, I found a 2 axle switcher made by Lima. You could try using plugs so you can separate the locomotive from the gon but why bother adding that much difficulty to an already difficult procedure? They have to stay together anyhow. The decoder is 8mm x 7mm x 2.5mm (.315" x .276" x .098"). Much smaller (relatively speaking) than the DZs. That is great for a one amp decoder. I have used ESU decoders a couple times. Great motor control decoders. The DZ126T is not the same as the DZ126 - it's a bit thicker, but narrower and shorter. There's also a Zimo one that is insanely small. Unfortunately, the 2 axle Lima is a loser according to a review by Spookshow. Poor motor and fails to operate properly. Even if I could somehow fit a decoder into it, the critter probably would need a new motor to make it useful. Not my skill set. I found several sites showing how to add a decoder to the 3 axle MDT Plymouth. That gives me a very small industrial switcher I can use.